Samsung is reportedly ready to ship every smartphone it releases next year with Samsung Pay pre-installed. Reports indicate that all models except for a few low-end ones will include the payment platform, as Samsung Pay has primarily been promoted with Samsung’s high-end devices in its Galaxy and Galaxy Note lines. In the coming months, Samsung Pay will likely aim to fill the gap left by Android Pay, according to 9to5Google. However, Android Pay is equal to Samsung Pay in terms of bank compatibility and country availability, but also works on all devices equipped with NFC as well as 2013’s Android KitKat. While this makes Android Pay the more obvious choice for most users, Samsung intends to combat this by making Samsung Pay an embedded feature in all its smartphones released in 2017, to avoid the extra step of installing the app. The original report is sourced from Business Korea, which goes on to say that Samsung Electronics is also preparing a release of Samsung Pay Mini — an application for those who don’t use Samsung devices but still want to use Samsung’s mobile payment service. 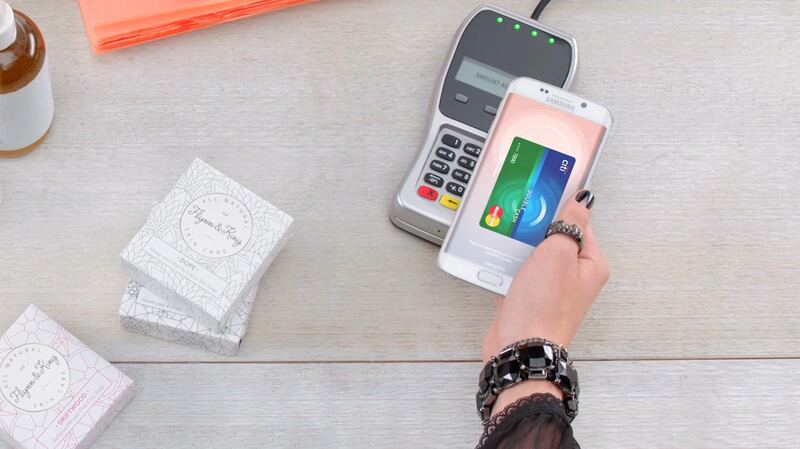 Samsung Pay opened up its platform to Canadian users at the beginning of November via an early access platform. CIBC customers were able to register to use Samsung Pay early, using the website. No word was given regarding when the payments service would be available to use through other Canadian banks. While Android Pay has not officially launched in Canada, Reddit users claimed that the service worked with Scotiabank Visa Cards last week. An Android Pay update in October featured code indicating that the service would be available in Canada. Since then, several users reached out to MobileSyrup claiming that it was no longer possible to use Scotiabank Visa cards with Android Pay, and there has been no word on bringing the service to Canada since.